Welcome to carpentry tips and tricks! I. like. Wood. Just putting it out there.. Who the hell doesn't? By far wood is the most versatile material on the planet and arguably one of the most beautiful too. It comes in so many different colours, forms, strengths - and there are so many different things you can make and do with timber. You can pretty much make anything and everything from a pen, a car, a complete house, a bridge, a PIRATE SHIP - all out of wood! For Christs sake you can even make woodworking tools OUT OF WOOD! For crying out loud! Over 20 years ago during my carpentry apprenticeship I was told that if somebody had invented 'wood' as a material it would be banned from sale (definitely by the EU). That's because wood has so many imperfections. Like hard knots impossible to nail into. And it warps, bows, shakes, splits, shrinks & expands! It could be a nightmare to work with if you didn't know how. Luckily most of the above problems can be overcome and avoided if you know the characteristics and how to work with the timber at hand . And then, you could build something amazing. As a carpenter you should never be out of work. No artificial intelligence, no machine could ever replace or replicate the skillful work a carpenter can do. If you are a professional, DIY or hobbyist carpenter looking for tips and tricks of the trade I hope you find something useful here that will add another string to your bow and help you achieve ever more impressive feats with wood to impress your friends (and ladies) with too. Some tradesmen are all rounders and others specialise in one aspect of carpentry they particularly enjoy to excel in. There are so many different aspects to carpentry that so far it's separated into various sections on this site; The basics, framing, roofing, kitchens, finishing, loft conversions, laminate floors plus hand & power tools. Also, a section containing useful every day formulas and another with lots of carpentry terms explained has been added too. What's involved in an apprenticeship, how to find work, register as self-employed and advertise for carpentry work. Step by step, easy to follow guides for lots of common DIY/carpentry jobs like installing laminate flooring and hanging doors for example. Everyday carpentry formula/maths useful for areas, rafter lengths, 3-4-5 rule etc. The site is new, and growing every day. The fastest way to find what you're looking for at carpentry tips and tricks is to use the search bar in the top right corner of the page or visit the site map page with links to every page added so far. If you don't find the answer to your question here already, you can use the Carpentry Q&A page to ask myself and other visitors for help or advice. That way you get the info you need, and future visitors can find it on your very own carpentry tips and tricks page too! I don't know a carpenter that doesn't have one of these, so here I take a look at a new jig that can get a razor sharp edge in hardly any time. I was sick of setting up my honing guide twice for each chisel, then using both sides of my diamond stone to first grind and then hone a chisel. Thank God there's now an easy way! When you're laying laminate flooring the hardest part is when you get to the doorway. Make use of the expansion gap to get the board in, and plane the lip off the tongue (this changes it to normal tongue and groove instead of click together) so you can click the boards to each other. How can you make a really strong floating shelf for less than £25? By ripping down a ply flush door and fixing it to the wall! There's 3 different ways to make a floating shelf explained on the page above. You can buy window cills off the shelf or make your own. The page above shows you how to make and fix, and how to make window cills for victorian sash windows with architraves round them too. With a bit of patience, practice and the right advice anyone can learn basic carpentry skills, one of the oldest and most useful trades of them all. 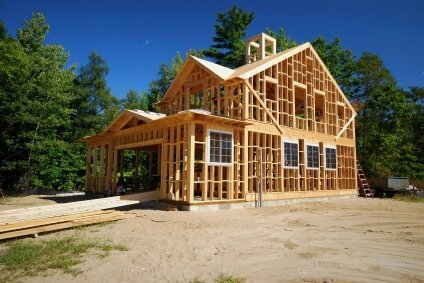 Whether you are thinking of starting a carpenter career (a great idea), have already completed an apprenticeship or you are a DIY / hobbyist who is improving and adding a personal touch to your home - free help is here.